Looking for professional triathlon coaching? Contact Genesis Tritathlon! 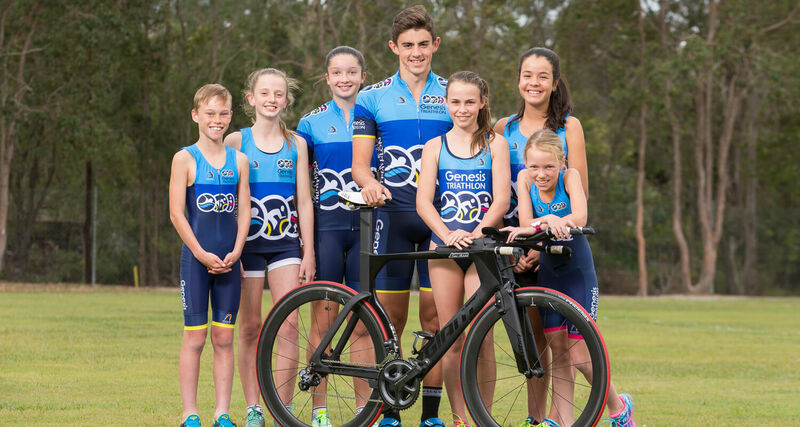 Genesis Triathlon is based at Genesis Christian College and provides expert coaching and training to members of all ages. The Genesis Triathlon Club caters for the sports of Triathlon including Duathlon, Aquathon, Cross-triathlon (MTB) and Triathlon and provides a structured training environment along with a club environment at events. As part of Genesis Sports and Aquatics, swimming is based at the Genesis Aquatics Centre pool located on campus in Bray Park, Brisbane and running and cycling sessions typically depart from the College. Our Club Coach, Mark Tucker, has extensive experience in coaching and was named Triathlon Queensland Coach of the Year in 2013. The club is administered from the Genesis Aquatic Centre where payment may be made for training sessions or club uniforms. Membership of the Genesis Triathlon Club is not restricted to Genesis Christian College students. Anyone from the community is welcome to join. Membership is $50 plus the Triathlon Australia Levy. This levy varies depending on age and provides race day insurance and training insurance as outlined on the Triathlon Australia website. How to join Genesis Triathlon? For current Triathlon Queensland/Australia: Members of other clubs who want to change to membership of Genesis Triathlon need to log onto the TQ website and access the manage membership area. From there automatic renewal needs to be turned off and then a new membership started. You will retain the same member ID. For new membership, visit the Triathlon Australia website and follow the directions. Choose the option of being a club member and then choose Genesis Triathlon from the list.